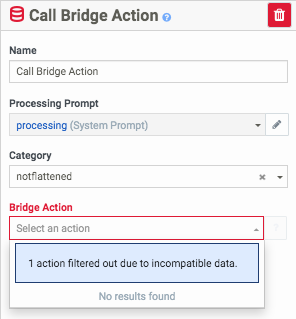 A bridge action takes the failure path in the call flow in Architect. Change your Zendesk credentials in the connector configuration. Check the Interactive Intelligence log files for the following. The information that the bridge actions retrieve from Zendesk is incomplete or incorrect. Wait for the connector to attempt to retrieve information from Zendesk again.